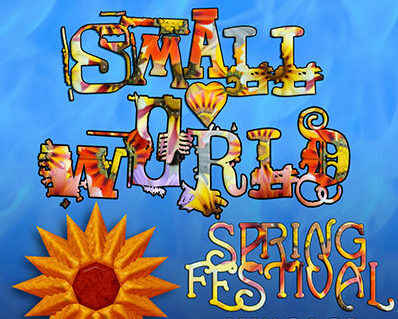 We are so proud to announce the 30th Small World festival. We could only have dreamt that our initial gathering of a couple of hundred souls would have rooted out and matured into the wonderful festival and community we have today. We do hope you can join us. Love love love Pony, Emma and all the Small World crews. Held on a beautiful site deep in Kent. Intimate, intense, warm and colourful the way festival-goers love. Small and safe so parents and children can relax and have fun. A sustainable community celebrating the sheer joy of creativity, trust and love. An intoxicating blend of performers, artists, healers, craftspeople, colourful characters, jesters, magicians, families and party people. All run off the equivalent of one kettle. > Kids, arts & crafts and healing areas ✸ Chillout spaces and gardens ✸ 100% solar powered ✸ Cabaret ✸ Theatre ✸ Buskers ✸ Poetry ✸ Fire-Pit Sessions ✸ Walkabouts ✸ Games ✸ Dress-Ups ✸ Communal Fires ✸ Fairies ✸ Magicians ✸ Fire Shows ✸ Circus Skills ✸ Skill Sharing ✸ Saunas, Showers & Hot Tubs ✸ Site Shop ✸ Shuttle Bus ✸ Vegetarian/Vegan food (with the odd bacon sarnie and Sunday roast) ✸ Fair trade cafes ✸ Fully Streamed Re-cycling ✸ And about 5,000 years of experience within the crews!